See below for full list of Lancashire Heeler characteristics! In his past, the Lancashire Heeler was used to drive livestock to market. He was short enough to nip at their heels to move them along and agile enough to leap out of the way if they tried to kick. When he wasn't on the road to the market, he helped out on the farm by catching rats and rabbits. 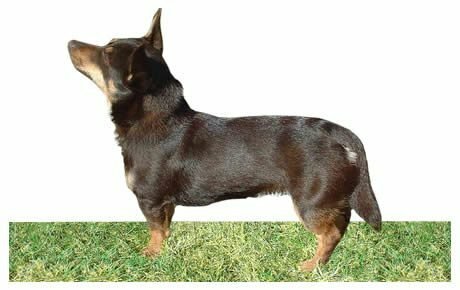 He resembles his cousins the Cardigan and Pembroke Welsh Corgis but has a black-and-tan coloration that may be a sign of Manchester Terrier heritage. In his homeland of Great Britain, he's a popular companion, show dog, and agility and obedience competitor. He also competes at herding trials. This is an intelligent dog who learns quickly, but he has a mind of his own and can be stubborn as well as mischievously inventive. Train him with kind but firm consistency and positive reinforcement. With other people he's generally friendly but he can be sharp toward other dogs. 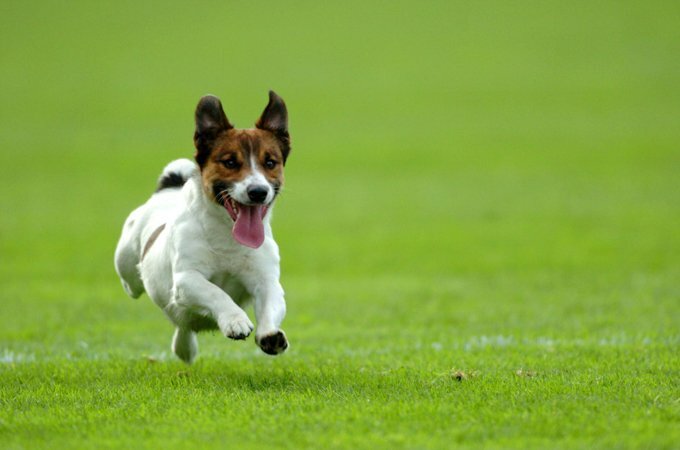 Early socialization with people and other dogs is important. He's best suited to families with school-age children and enjoys having a yard where he can run. Be sure it's escapeproof! The ideal height for a male Lancashire Heeler is 12 inches at the shoulder; for females, the ideal is 10 inches. They weigh approximately 14 pounds. The Lancashire Heeler sports a coarse, shiny coat that can be black or liver-colored, both with tan markings. They have a fine undercoat below a thick, weather-resistant topcoat. The coat is slightly longer around the neck. The coat is low-maintenance, and regular brushing with a firm bristle brush should keep it in good shape. Bathe your Lancashire Heeler only if he really needs it.